Feb 25 Aarathi & Karthik | Engagement in Maldives. TThis is a story of two IITians, and also one of the most fun bridal groups I've been a part of. :D Aarathi's dad called me about this fairytale wedding his daughter had planned and told me that she wanted only two things - her choice of venues (Maldives and the Falaknuma Palace! ), and her choice of photographer (me!). 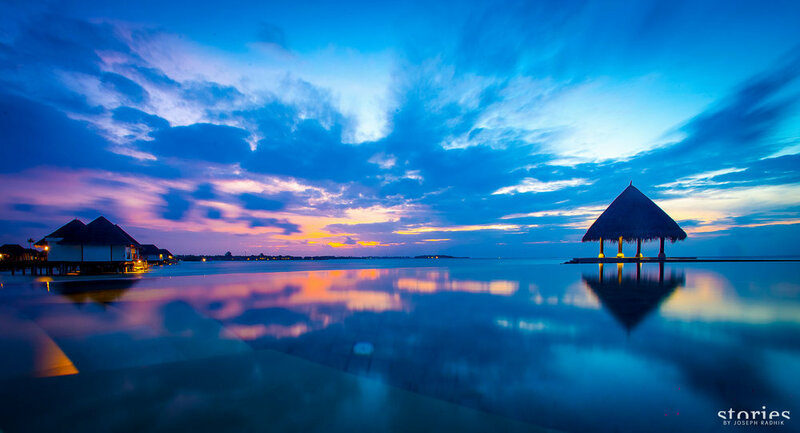 Once those two minor details of breathtaking locales and (a fairly decent!) photographer were sorted, it was down to the nitty gritties. A gorgeous bride. Check. A completely-in-love bridegroom. Check. Happy, proud relatives and a boisterous, energetic group of close friends. Check and check. I hope the images below show off all of this and a bit more from our time spent in December 2013 at Aarathi and Karthik's engagement (yes, their wedding will follow in a separate post!). There's also a nice little article on Polka Cafe featuring our work. A wedding shot by Joseph Radhik. 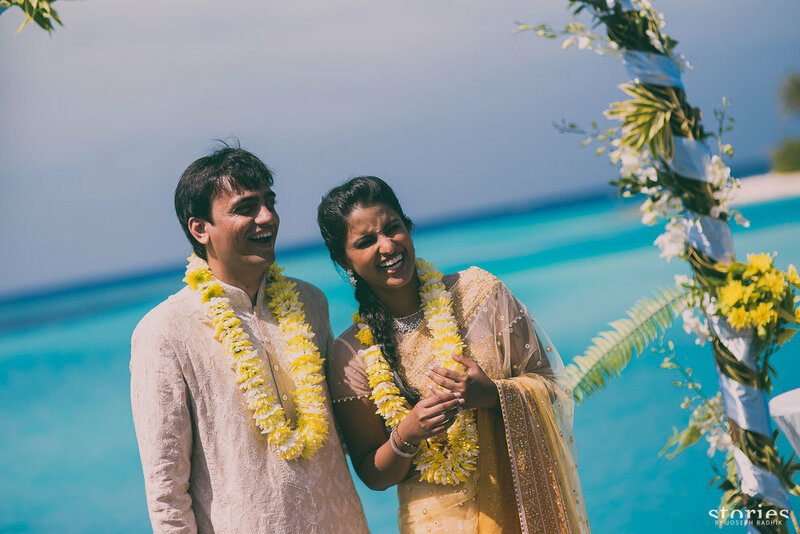 Feb 18 Gopal & Vanisha | Destination Wedding in Koh Samui. 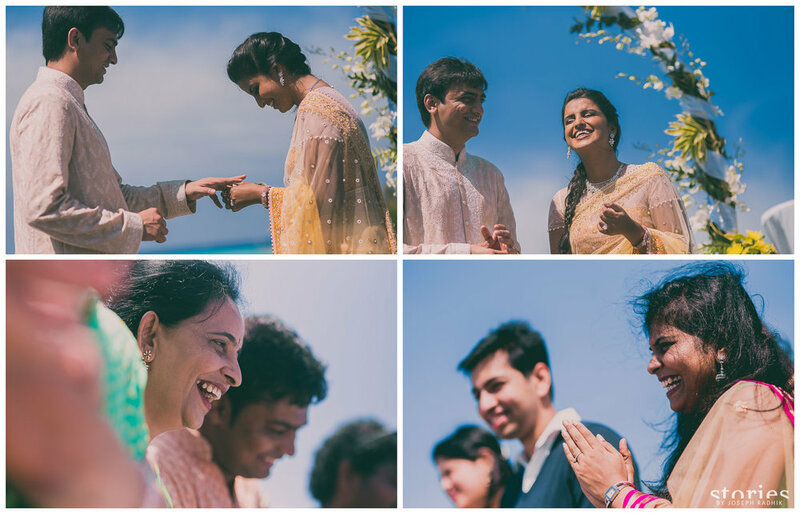 Mar 25 Shweta & Abhishek | Colorful wedding in Mauritius.